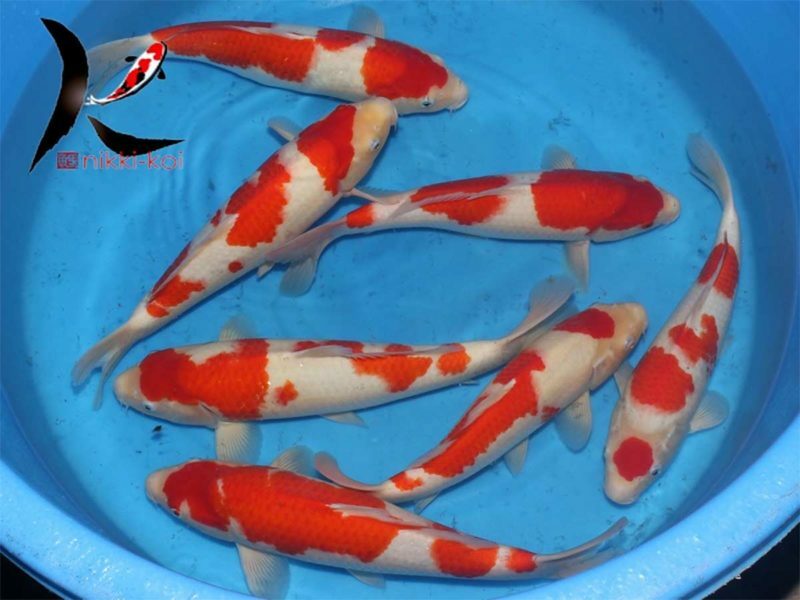 These are beautiful 35-40 cm Kohaku Japanese koi. These excellent quality Kohaku from the breeder Marukyu are Nisai (2 year old) have nicely balanced patterns and great colour. 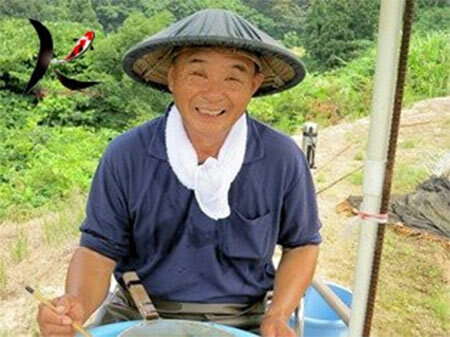 Marukyu Koi Farm is located in the Yamakoshi region and is owned by Mr Marukyu. After having 99% of his stock destroyed after the earthquake in 2004, Marukyu decided to focus on breeding small numbers of high quality Go-Sanke. He sells most of his fish to the Japanese high quality koi market. 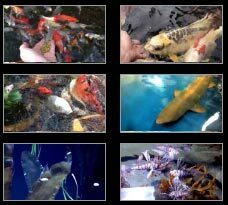 Their varieties include: Kohaku, Showa and Sanke.